Helena G. Malchow is the managing shareholder in the firm of Wean & Malchow, P.A. 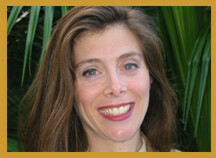 Ms. Malchow graduated with honors from Florida State University College of Law in May, 1992. While at Florida State University, she was an Articles and Notes Editor for the Florida State University Law Review. She also received a book award for State Constitutional Law and Admiralty while at FSU. She obtained a Bachelor's Degree in Finance and International Business from Florida International University in Miami, Florida. Ms. Malchow began her legal career as a law clerk with the firm of Moore, Williams, Bryant & Gautier, P.A. where she was exposed to a number of legal areas, including creditor's rights, civil litigation, securities, and municipal law. After being admitted to practice in Florida in 1992, she moved to Orlando, Florida with her husband, Kevin Malchow. She is also admitted to practice in the U.S. Middle District Court of Florida. Ms. Malchow has been approved by the Ninth Judicial Circuit as eligible to serve as a civil case arbitrator and approved by the Florida Supreme Court as a circuit court mediator. In March of 1994, Ms. Malchow joined the law firm of Becker & Poliakoff, P.A. as an associate practicing in the field of community associations. At Becker & Poliakoff, Ms. Malchow assisted in representing close to two hundred condominium, homeowner and time share associations. This opportunity enabled her to gain strong legal experience in representing community associations in both transactional and litigation matters. In September, 1995 she joined Paul Wean in the opening of Paul L. Wean, P.A., where she has limited her practice to counseling all types of community associations. Ms. Malchow has contributed several pieces to publications directed to community associations and has lectured on many topics. She is former Secretary of the Mid-Florida Chapter of the Community Association Institute. Helena was born and raised in Miami, Florida. She speaks fluent Spanish. ©1995-2019 Wean & Malchow, P.A.